Amy has 16 years of experience covering the energy industry, the majority of those focused on the Upstream sector. Amy originated and co-led development of Wood Mackenzie’s Carbon Benchmarking initiative. She also leads the Upstream Consulting team’s Oil Price offering. 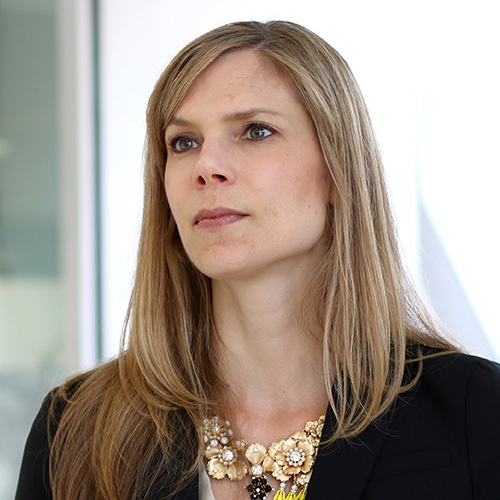 During her time at Wood Mackenzie, Amy has managed studies on the marginal cost of supply and implications for the oil price, opportunity identification, corporate and fiscal benchmarking, organic and inorganic value creation, and financial due diligence. Prior to Wood Mackenzie, Amy spent four years at Hess Corp., the majority of which time she worked as a member of Hess’ Corporate Strategy team. In that role, she conducted long-term supply and demand analyses of oil, gas, and broader primary energy trends, and helped to develop the company’s climate change strategy. Amy has also worked as a Senior Oil Analyst for PIRA Energy, an Analyst with PFC Energy’s Upstream Competition Service, and an Analyst with Ziff Brothers Investments’ energy sector team in New York. Amy holds an MA in International Relations and Economics from Johns Hopkins School of Advanced International Studies (SAIS) and a BA in Communication, French, and Political Science from the University of Arizona.